Today is our last day of school. Tomorrow is our first day of summer vacation. At times during this school year, I seriously did not know if I’d make it through to the end of the year. But I did, we did, and now it’s summer! Today I will make the same type of disclosure statements to you that I made last summer. I promise that my posts may not always be on time. I promise that I won’t be sharing them on Facebook at 6:30 in the morning each day. I promise that they may not always be on the same posting schedule as they are during the school year, so there may not be three a week. I promise that I am putting my family first and spending lots and lots of time with them. I promise to sleep late, wear sunscreen and eat supper on the beach. Often. And I promise that if we do anything super-cool, or eat anything super-delicious I will share it with you so that you can do it too! 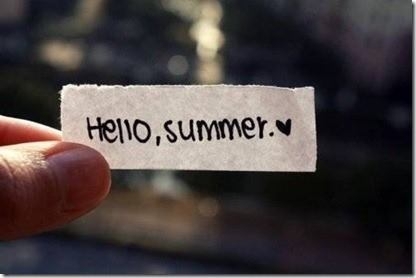 Enjoy your summer, enjoy your family, and remember that summer will be over in the blink of an eye.